As the world celebrates International Women’s day, it’s important to remember what this date stands for: equal rights between men and women. Women’s day is tightly connected to the Suffragette movement, where women in many parts of the world fought and suffered for their right to vote. It was on March 8, 1917, that women in Russia gained the right to vote, and in 1975 the United Nations also adopted the day. Unfortunately, we still have a long way to go before we can talk about gender equality in the world and, sadly, science is no exception. When it comes to female scientists, one name always dominates the conversation: Marie Curie. Curie’s brilliance and impact are undeniable, but there are many more women who left a strong mark on science. Here, we will celebrate just a few of them, some of the names we should remember for their remarkable contribution. Hypatia inspired numerous artists, scientists, and scholars. 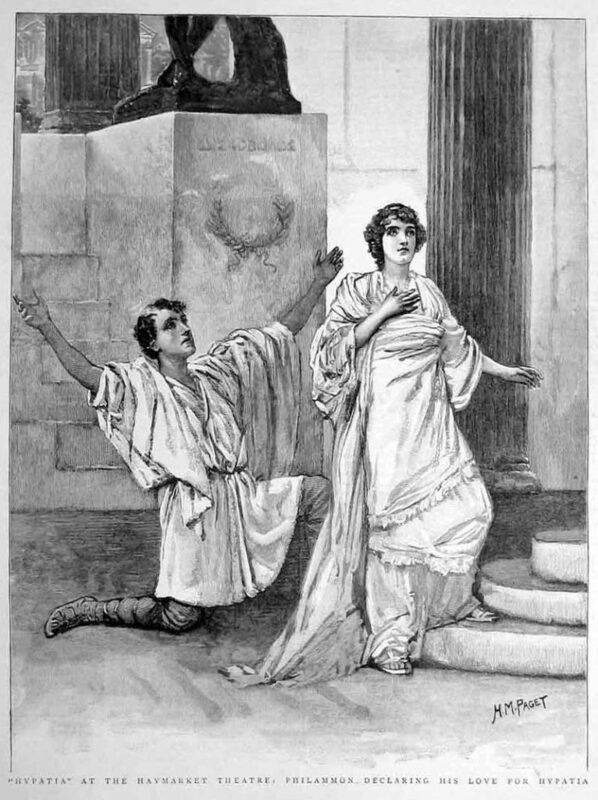 Here: The play Hypatia, performed at the Haymarket Theatre in January 1893, based on the novel by Charles Kingsley. Any discussion about women in science should start with Hypatia — the head of the Neoplatonic school in ancient Alexandria, where she taught philosophy and astronomy. Hypatia was praised as a universal genius, though, for most of her life, she focused on teaching more than innovating. Also an accomplished mathematician, Hypatia was an advisor to Orestes, the Roman prefect of Alexandria, and is the first female scientist whose life was decently recorded. Hypatia lived through a period of political turmoil, with Orestes fighting for power with Cyril, the Christian bishop of Alexandria. Although she was a “pagan” herself, Hypatia was tolerant of Christian students and hoped to prove that Neoplatonism and Christianity could coexist peacefully and cooperatively. Sadly, this wasn’t the case. She was brutally murdered by a mob of Christian monks known as the parabalani, something which many historians today believe was orchestrated by Cyril (or at the very least, Cyril had some involvement in this process). Her murder fueled hatred against Christians and unfortunately, her legacy was completely tarnished and turned against what she had hoped to achieve. 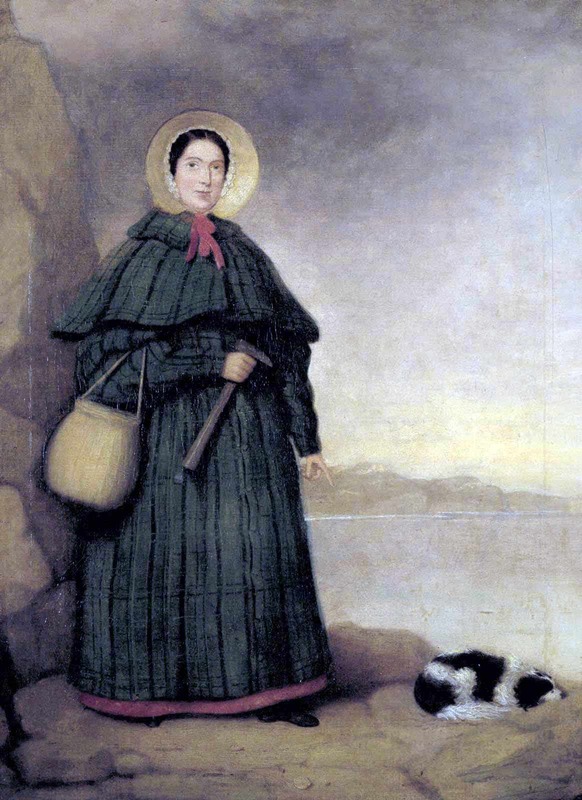 Portrait of Mary Anning with her dog Tray and the Golden Cap outcrop in the background, Natural History Museum, London. Moving a bit closer to our age, Mary Anning was one of the most significant figures in paleontology. An English fossil collector, Anning was unable to join the Geological Society of London and did not fully participate in the scientific community of 19th-century Britain, who were mostly Anglican gentlemen. This stressed her tremendously, and she struggled financially for much of her life. Also, despite her significant contributions, it was virtually impossible for her to publish any scientific papers. The only scientific writing of hers published in her lifetime appeared in the Magazine of Natural History in 1839. It was an extract from a letter that Anning had written to the magazine’s editor questioning one of its claims. “The world has used me so unkindly, I fear it has made me suspicious of everyone,” she wrote in a letter. However, she was consulted by many of the time’s leading scientists on issues of anatomy and fossil collection. Her observations played a key role in the discovery that coprolites are fossilized faeces, and she was also the first to find a complete ichthyosaur skeleton — one of the most emblematic dinosaur-aged marine creatures — as well as two complete plesiosaur skeletons, the first pterosaur skeleton located outside Germany, and important fish fossils. 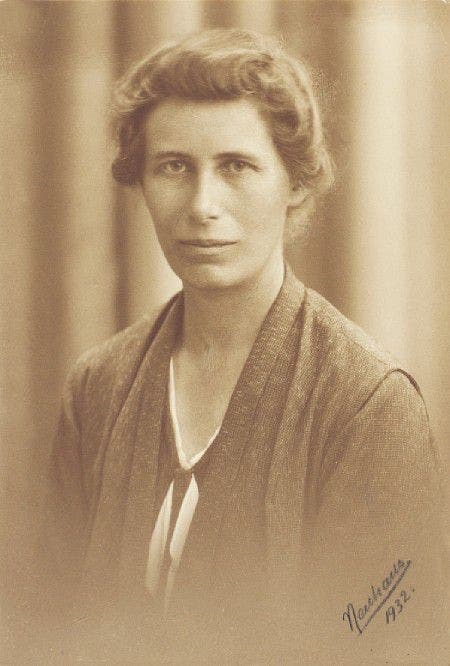 Her work also paved the way for our understanding of extinction and her most impressive findings are hosted at the London Natural History Museum. 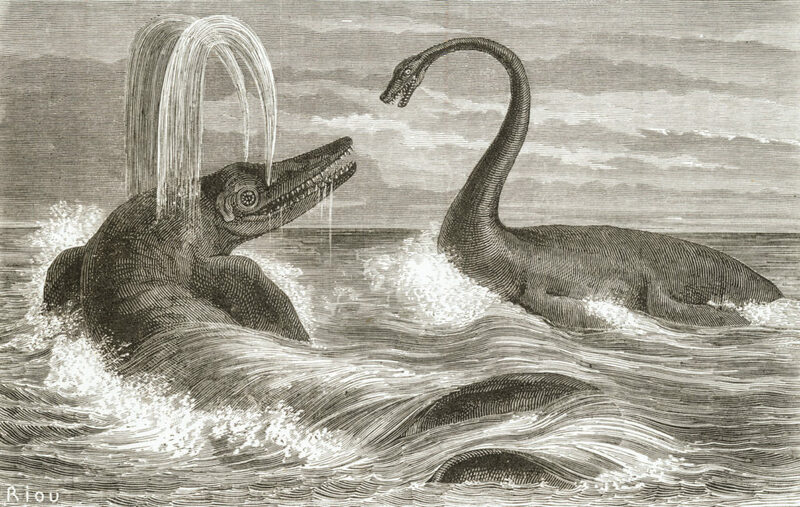 Ichthyosaur and Plesiosaur by Édouard Riou, 1863. 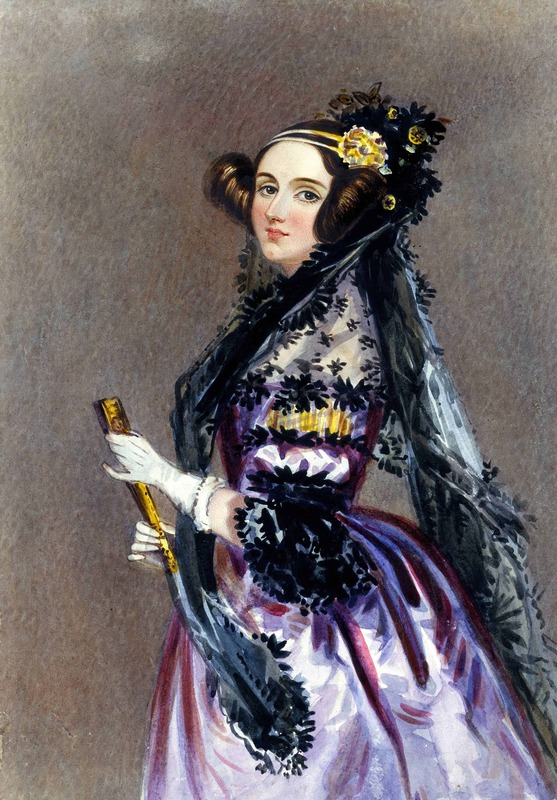 Ada Lovelace was one of the most interesting personalities of the 19th century. The daughter of famous and controversial Lord Byron, Ada inherited her father’s writing gift, but her most important legacy was in a completely different area: mathematics. She is often regarded as the first to recognize the full potential of a “computing machine” and the first computer programmer, chiefly for her work with Charles Babbage, regarded as the father of the computer. Watercolor portrait of Ada King, Countess of Lovelace (Ada Lovelace). “Ada saw something that Babbage in some sense failed to see. In Babbage’s world his engines were bound by number…What Lovelace saw—what Ada Byron saw—was that number could represent entities other than quantity. So once you had a machine for manipulating numbers, if those numbers represented other things, letters, musical notes, then the machine could manipulate symbols of which number was one instance, according to rules. It is this fundamental transition from a machine which is a number cruncher to a machine for manipulating symbols according to rules that is the fundamental transition from calculation to computation—to general-purpose computation [..]”. 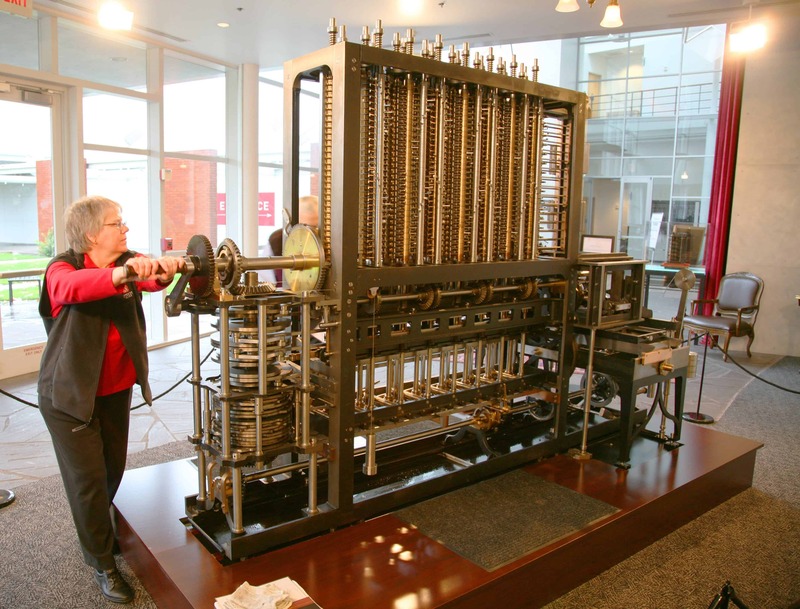 Example of a computing machine developed by Babbage and Lovelace. Image credits: Jitze Couperus from Los Altos Hills, California, USA. Unfortunately, the life of Ada Lovelace was cut short, at 36, by uterine cancer, with more than a century passing before her vision could be accomplished. If you like astronomy, the odds are that you’ve heard the name Hubble — but the same can’t be said for Henrietta Swan Leavitt, even though it should. Her scientific work identified 1777 variable stars and discovered that the brighter ones had the larger period, a discovery known as the “period–luminosity relationship” or “Leavitt’s law.” Her published work paved the way for the discoveries of Edwin Hubble, renowned American astronomer, whose findings changed our understanding of the universe forever. Although Henrietta received little recognition in her lifetime, Hubble often said that Leavitt deserved the Nobel for her work. 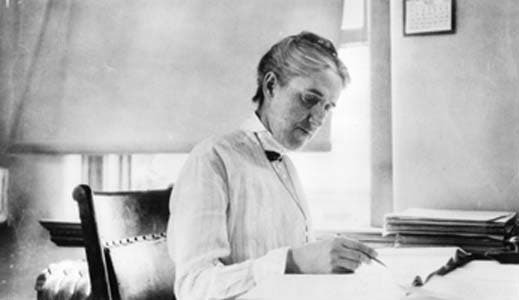 Henrietta Swan Leavitt working in her office. Image from the American Institute of Physics, Emilio Segrè Visual Archives. In 1892, she graduated from Harvard University’s Radcliffe College, taking only one course in astronomy. She gathered credits toward a graduate degree in astronomy for work completed at the Harvard College Observatory, though she never finished the degree. However, she began working as one of the women human “computers,” working on measuring and cataloguing the brightness of stars. 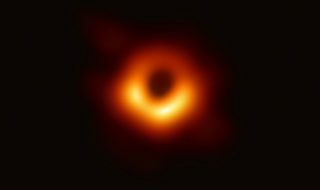 It was her work that first allowed astronomers to measure the distance between the Earth and faraway galaxies, ultimately allowing Hubble to figure out that the universe is expanding. The Swedish Academy of Sciences tried to nominate her for the Nobel prize in 1924, only to learn that she had died of cancer three years earlier. Image courtesy The Royal Library, National Library of Denmark, and University of Copenhagen University Library. Before Lehmann, researchers believed the Earth’s core to be a single molten sphere. However, observations of seismic waves from earthquakes were inconsistent with this idea, and it was Lehmann who first solved this conundrum in a 1936 paper. She showed that the Earth has a solid inner core inside a molten outer core. Within a few years, most seismologists adopted her view, even though the theory wasn’t proven correct by computer calculations until 1971. 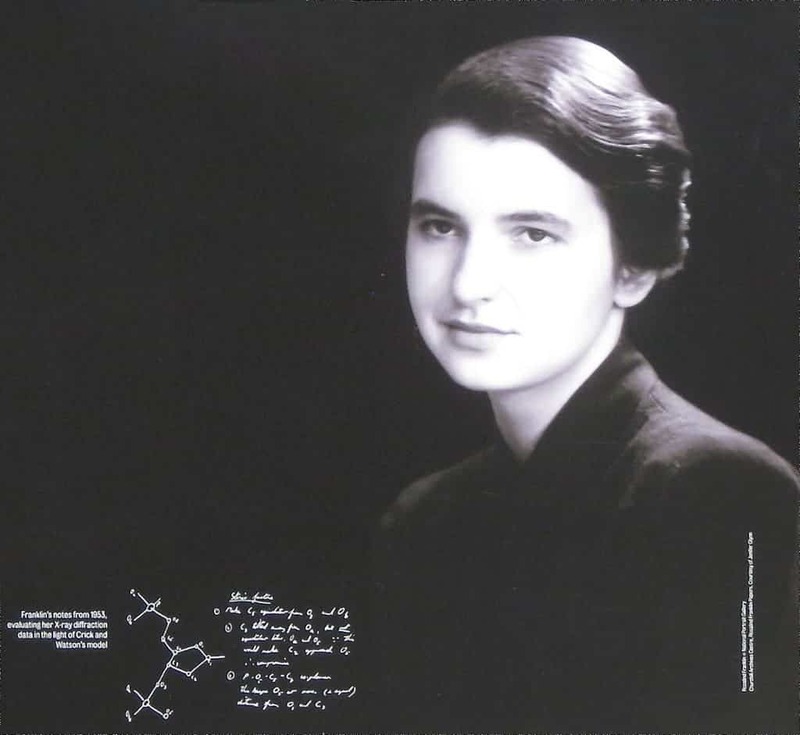 Rosalind Franklin was an English chemist and X-ray crystallographer who made contributions to the understanding of the molecular structures of DNA (deoxyribonucleic acid), RNA (ribonucleic acid), viruses, coal, and graphite. 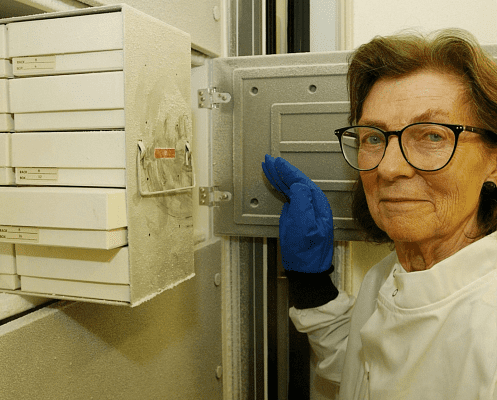 While her work on the latter was largely appreciated during her lifetime, her work on DNA was extremely controversial, only being truly recognized after her lifetime. In 1953, the work she did on DNA allowed Watson and Crick to conceive their model of the structure of DNA. Essentially, her work was the backbone of the study, but the two didn’t grant her any recognition, in an academic context largely dominated by sexism. Franklin had first presented important contributions two years earlier, but due to Watson’s lack of chemistry understanding, he failed to comprehend the crucial information. However, Franklin also published a more thorough report on her work, which made its way to the hands of Watson and Crick, even though it was “not expected to reach outside eyes“. 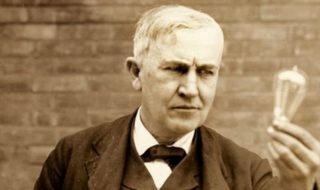 There is no doubt that Franklin’s experimental data were used by Crick and Watson to build their model of DNA, even though they failed to cite her even once (in fact, Watson’s reviews of Franklin were often negative). Ironically, Watson and Crick cited no experimental data at all in support of their model. 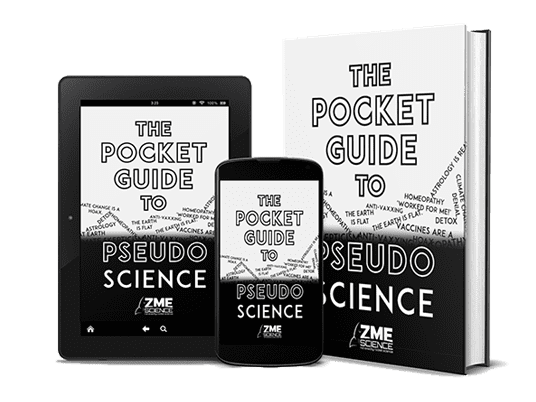 In a separate publication in the same issue of Nature, they showed a DNA X-ray image which, in fact, served as the principal evidence. Zoologist Anne McLaren is one of the pioneers of modern genetics, her work being instrumental to the development of in vitro fertilization. She experimented with culturing mouse eggs and was the first person to successfully grow mouse embryos outside of the womb. McLaren was also involved in the many moral discussions about embryo research, leading her to help construct the UK’s Human Fertilization and Embryology Act of 1990. This work is still greatly important for policy regarding abortion, and also offers guidelines for the process. She authored over 300 papers over the course of her career. She received many honours for her contributions to science, being widely regarded as one of the most prolific biologists in modern times. She also became the first female officer of the Royal Society in 331 years. 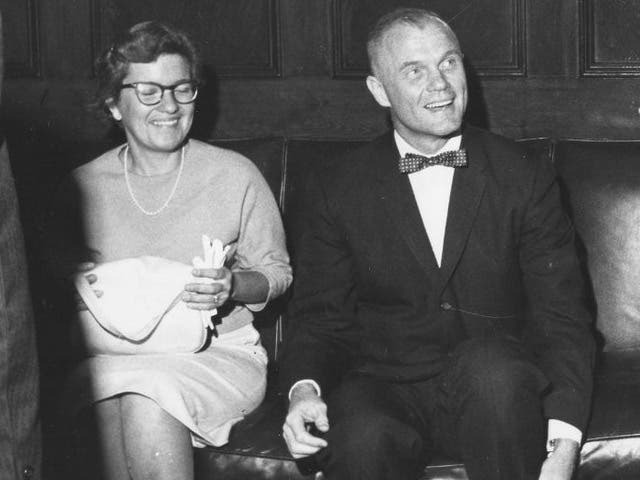 Vera Rubin with John Glenn. Image credits: Jeremy Keith. Vera Rubin was a pioneering astronomer who first uncovered the discrepancy between the predicted angular motion of galaxies and the observed motion — the so-called Galaxy rotation problem. 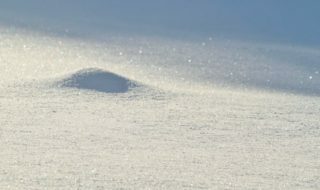 Although her work was received with great skepticism, it was confirmed time and time again, becoming one of the key pieces of evidence for the existence of dark matter. Ironically, Rubin wanted to avoid controversial areas of astronomy such as quasars, and focused on the rotation of galaxies. She showed that spiral galaxies rotate quickly enough that they should fly apart if the gravity of their constituent stars was all that was holding them together. So, she inferred the presence of something else — something which today, we call dark matter. Rubin’s calculations showed that galaxies must contain at least five to ten times as much dark matter as ordinary matter. Rubin spent her life advocating for women in science and was a mentor for aspiring female astronomers. Image credits: U.S. Information Agency. Sally Ride was the third woman in outer space, after USSR cosmonauts Valentina Tereshkova (1963) and Svetlana Savitskaya (1982). However, her main focus was astrophysics, primarily researching nonlinear optics and Thomson scattering. She had two bachelor’s degrees: literature, because Shakespeare intrigued her, and physics, because lasers fascinated her. She was also in excellent physical shape, being a nationally ranked tennis player who flirted with turning pro, and was essentially tailored to be an astronaut — and yet, the subject of the media attention was always her gender, and not her accomplishments. At press conferences, she would get questions like “Will the flight affect your reproductive organs?” and “Do you weep when things go wrong on the job?” to which she would laconically and patiently answer. 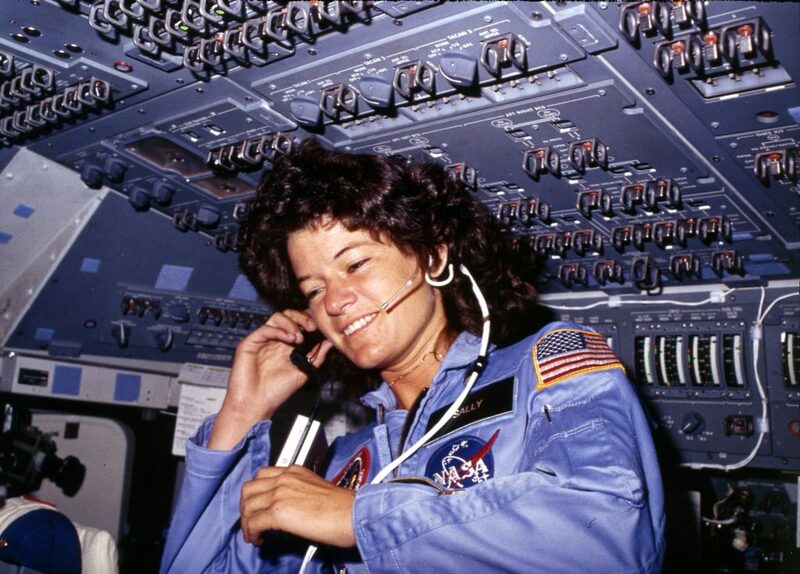 After flying twice on the Orbiter Challenger, she left NASA in 1987, after spending 343 hours in space. She wrote and co-wrote several science books aimed at children and encouraging them to pursue science. She also participated in the Gravity Probe B (GP-B) project, which provided solid evidence to support Einstein’s general theory of relativity. Image credits: U.S. Department of State. Most biologists consider Jane Goodall to be the world’s foremost expert on chimpanzees, and for good reason. 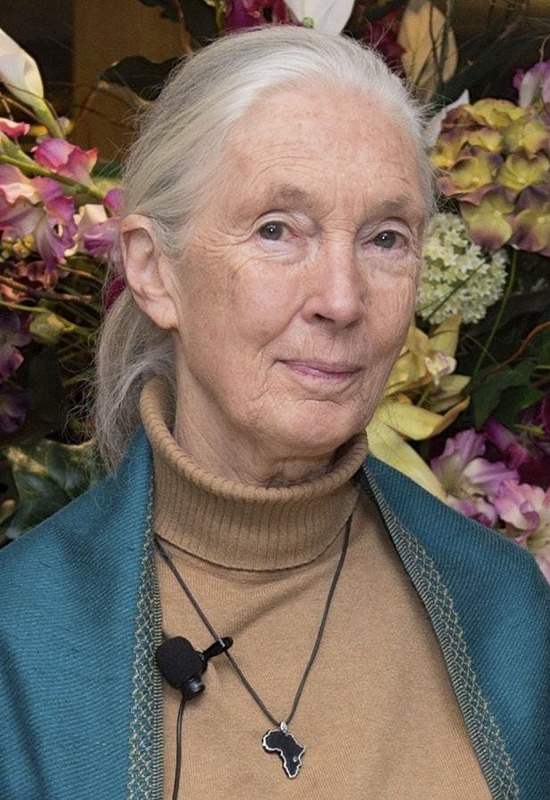 Goodall has dedicated her life towards studying chimps, having spent over 55 years studying the social and family interactions of wild chimpanzees. Since she was a child, Goodall was fascinated by chimps, and dedicated a lot of her early days towards studying them. She first went to Gombe Stream National Park, Tanzania in 1960, after becoming one of the very few people who were allowed to study for a PhD without first having obtained a BA or BSc. Without any supervisors directing her research, Goodall observed things that strict scientific doctrines may have overlooked, and which led to stunning discoveries. 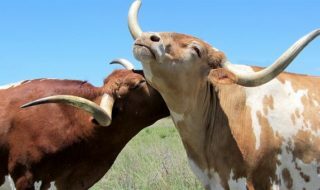 She observed behaviors such as hugs, kisses, pats on the back, and even tickling — which we would consider strictly “human” actions. She was the first to ever show non-human tool-making and overall, showed that many attributes we considered to be human were shared by chimps. She has also worked extensively on conservation and animal wildlife welfare. This article doesn’t intend to be a thorough history of women in science, nor does it claim to mention all the noteworthy ones and the unsung heroes. It is meant to be an appreciation of the invaluable contributions women have made to science and the hardships they had — and still have — to overcome to do so.